(AdeebMedia.com – Special Report) – Thousands of Pakistani-Americans – who are members and supporters of the Pakistan TPS Action Committee (PTAC) based in Washington DC, New York, Chicago, Boston, Houston, Los Angeles and many other cities & counties of the United States of America (USA) – have requested the US Secretary of Homeland Security, Janet Napolitano, to designate Pakistan for Temporary Protected Status (TPS) and urged the US Citizenship and Immigration Services (USCIS) to grant TPS to all eligible citizens/nationals of Pakistan who are now living in the USA. 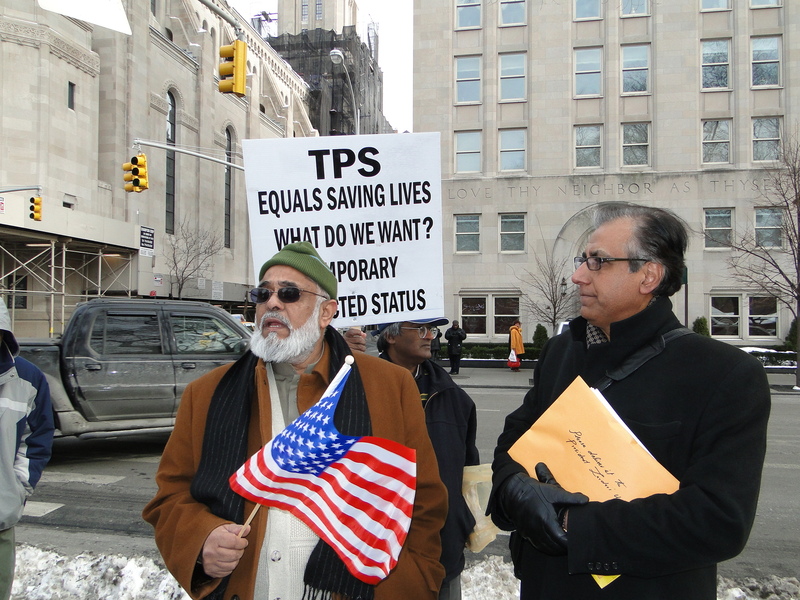 They have held several rallies under the PTAC banner at the White House & Pakistan Embassy in DC, Pakistan Consulate General in NY and elsewhere across America to obtain the US TPS for Pakistanis. The PTAC is led by its Chairman, Attorney-at-Law Saleem S. Rizvi, who practices law in New York. 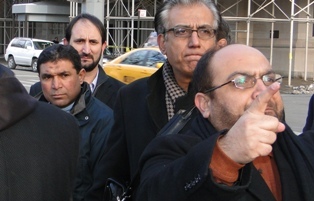 Pakistan USA Freedom Forum (PUFF) General Secretary Shahid Comrade is an active Member of the PTAC in NY. Community activist Shahzad Chaudhry is the PTAC Washington DC Coordinator. Six countries – El Salvador, Haiti, Honduras, Nicaragua, Somalia and Sudan – are currently designated for TPS. An Immigration Judge (IJ) or the Board of Immigration Appeals (BIA) can also grant TPS to any eligible person from these six countries who is now residing in the USA. The Pakistan TPS Action Committee (PTAC) Chairman, a noted Pakistani-American lawyer Saleem Rizvi, wrote and sent a joint petition of PTAC, TASC and PACLJ to US Democratic President Barack Hussein Obama and US Secretary of State Hillary Rodham Clinton in 2010. Mr. Rizvi also wrote and sent the PTAC letter to Asif Ali Zardari, the Pakistani unconstitutional/illegal president and PPP Co-Chairman, through the Pakistan Consulate General, New York, in January 2011. But so far Obama, Clinton, Napolitano, Zardari, PPP PM Yousuf Raza Gilani, PPP FM Shah Mahmood Qureshi, PPP envoy to Washington DC Husain Haqqani and Pakistani Consul General (New York) Faqir Syed Asif Hussain have failed to do anything good or positive to get TPS for all eligible Pakistanis now based in the USA. US Congressman Al Green (D-TX) introduced his bill No. H.R. 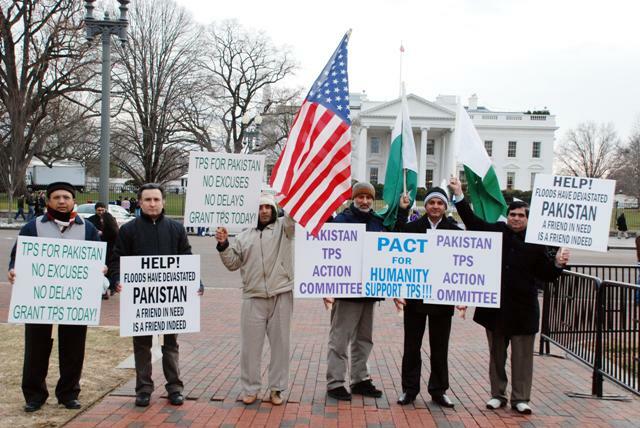 285 (titled “Pakistani Temporary Protected Status Act of 2011”) in the US House of Representatives (112th Congress) on 12 January 2011, which expresses the sense of the US Congress (House and Senate) that the extraordinary and temporary conditions caused by flooding in Pakistan qualify Pakistan for TPS designation under the US Immigration and Nationality Act, pursuant to which its citizens/nationals would be eligible for TPS in the USA. It designates Pakistan as a TPS country for an initial 12-month period. It sets forth related TPS eligibility requirements, including continuous presence of eligible Pakistanis in the USA since 22 July 2010. It requires the US DHS Secretary to give prior consent to such Pakistanis for temporary trips abroad in emergency and extenuating circumstances. It was referred to the House Committee on the Judiciary. (1) The summer of 2010 produced Pakistan’s worst flooding in 80 years. (2) The 2010 Pakistani floods began in July 2010 following heavy monsoon rains in the Khyber Pakhtunkhwa, Sindh, Punjab and Balochistan regions of Pakistan and affected the Indus River basin. Flooding began on July 22, 2010 in the province of Baluchistan. (3) According to the United Nations, 20,000,000 people, one-eighth of the population, and nearly 62,000 square miles, one-fifth of the country, have been significantly affected by destruction of property, livelihood and infrastructure. (4) The Pakistani Government reports that the floods have affected 82 of Pakistan’s 122 districts. As a result, more than 12 million people require humanitarian assistance, with nearly 6 million victims lacking access to food, shelter and water. (5) The Pakistani Government estimates that approximately 1.9 million houses were either damaged or destroyed and nearly 2,000 people have lost their lives. (6) Over 60,000 troops are involved in Pakistan’s flood relief operations. (7) The floods severely devastated Pakistan’s infrastructure including roads, bridges, schools, health clinics, electricity and communications. More than 5,000 miles of roads and railways were washed away, along with some 7,000 schools and more than 400 health facilities. (8) In addition, about 17 million acres of Pakistan’s most fertile croplands have been submerged by the floods, in a nation where farming is an economic mainstay. The waters have also killed more than 200,000 head of livestock and washed away large quantities of stored commodities that feed millions throughout the year. (9) On August 14, 2010, the first documented case of cholera emerged in the town of Mingora. (10) On September 7, 2010, the International Labour Organization reported that more than 5.3 million jobs have been lost due to the floods. (11) Concerns are growing about the enduring toll of the disaster on Pakistan’s overall economy, food supply and political stability. (12) Temporary protected status allows aliens who do not legally qualify as refugees but are nonetheless fleeing or reluctant to return to potentially dangerous situations to temporarily remain in the United States. (13) Granting temporary protected status to nationals of Pakistan is consistent with the interests of the United States and promotes the values and morals that have made the United States strong. It is the sense of the Congress that the extraordinary and temporary conditions caused by flooding in Pakistan qualifies Pakistan for designation under subparagraph (B) or (C) of section 244(b)(1) of the Immigration and Nationality Act (8 U.S.C. 1254a(b)(1)), pursuant to which nationals of Pakistan would be eligible for temporary protected status in the United States. Friday 21 January 2011 in Reports.